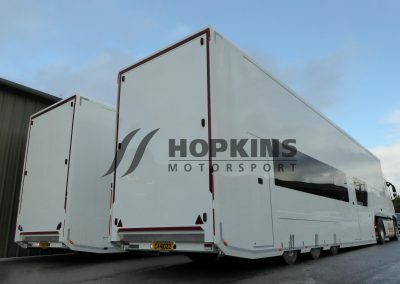 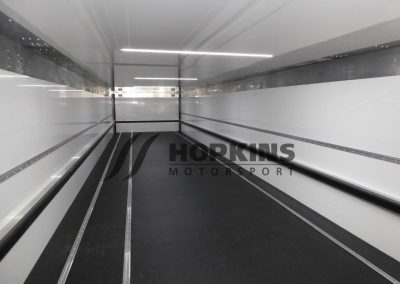 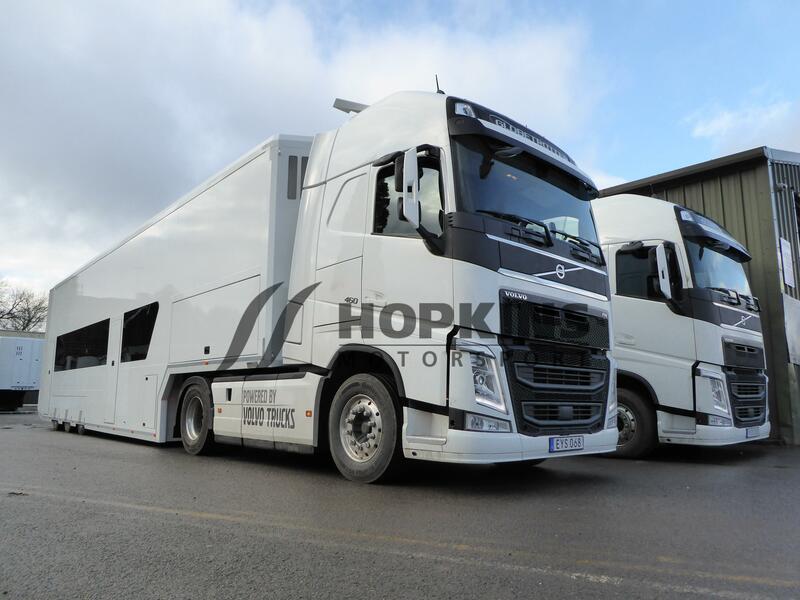 THREE identical transporters that can be used to carry upto 5 cars or as bulk storage during transit, at the circuit the lower deck converts to two offices. 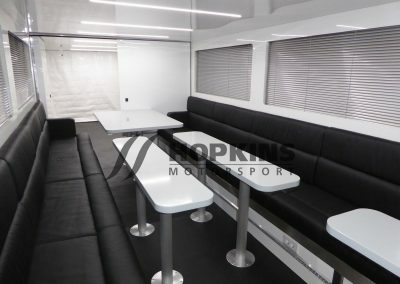 The lower deck can be converted to a workshop if required. 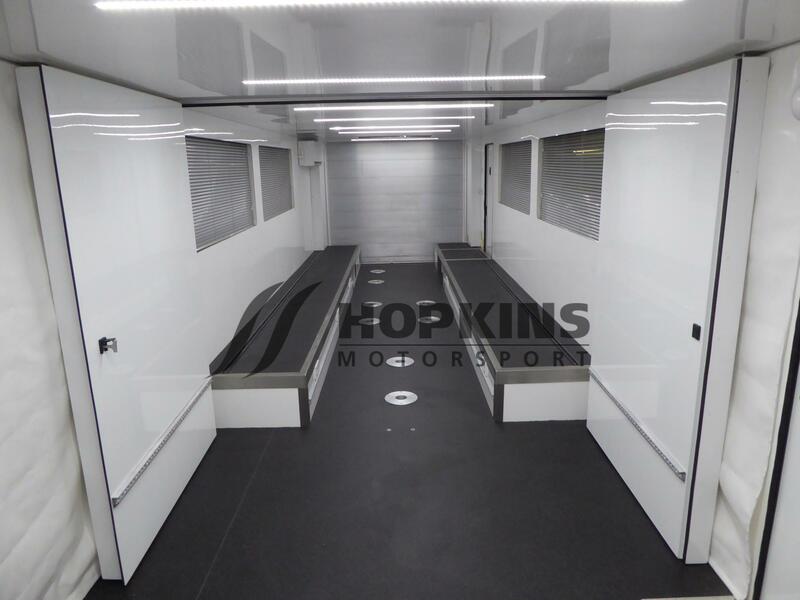 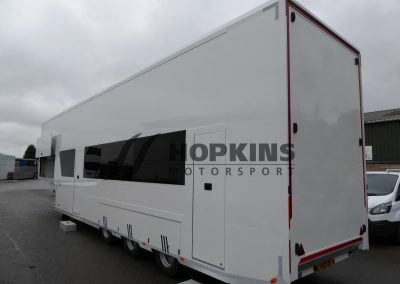 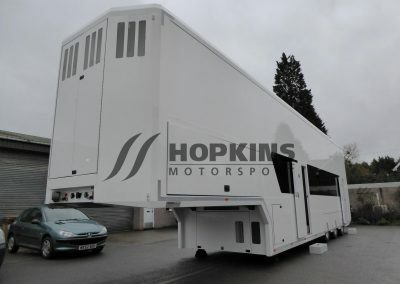 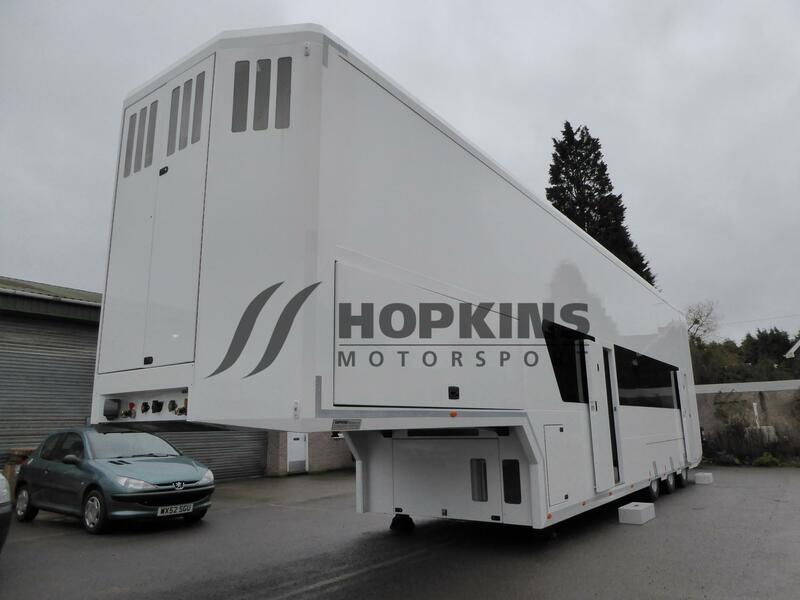 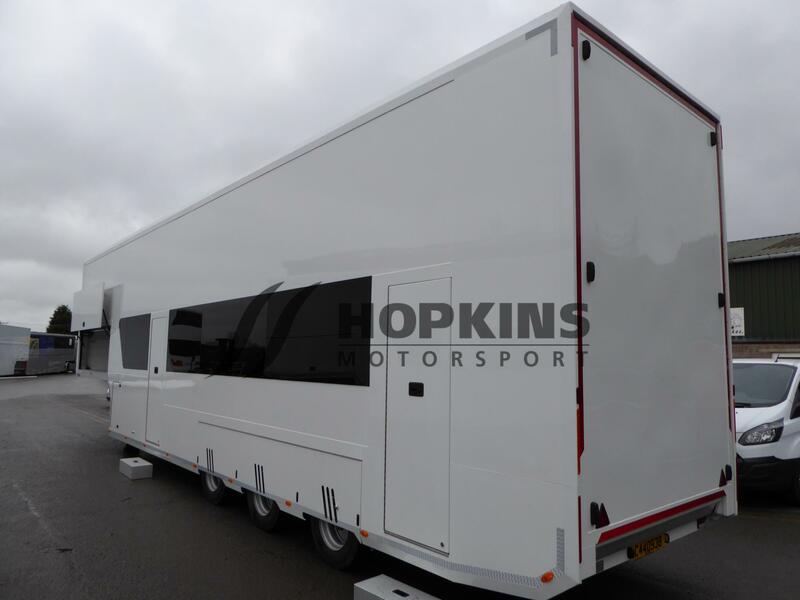 Bulk storage & 1 car carrying capacity ( max height car 1500mm) that will convert to two offices for drivers or engineers at the circuit. 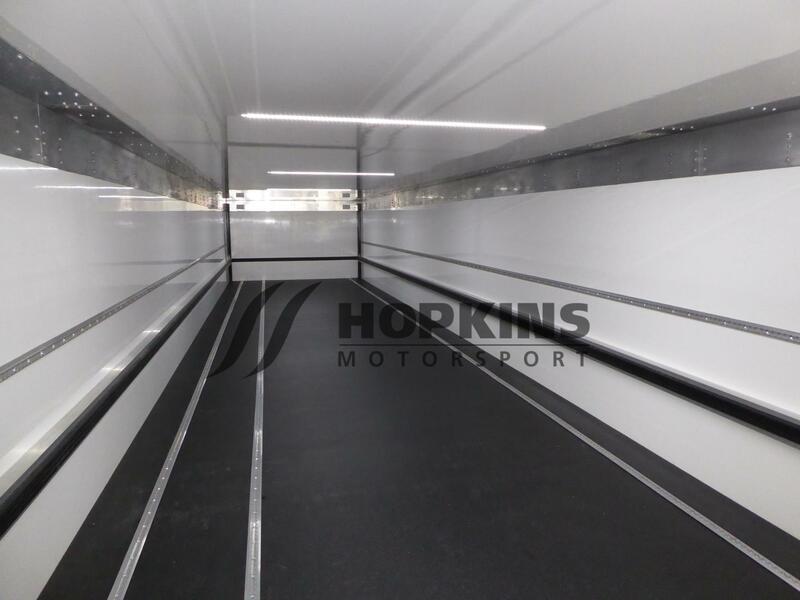 Height 1500mm 3 car carrying capacity or bulk storage. 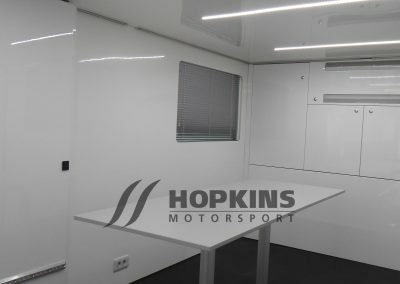 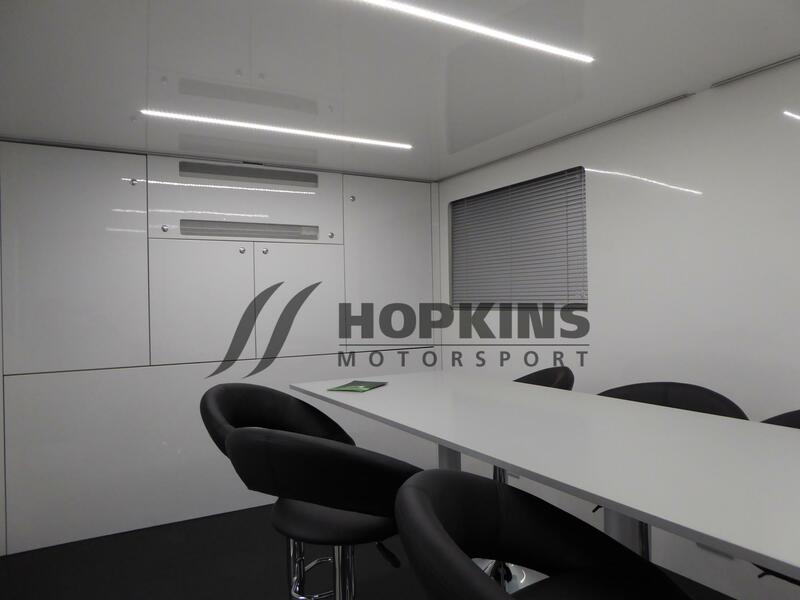 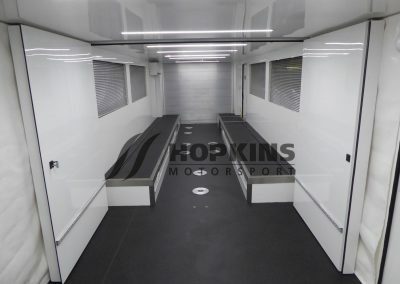 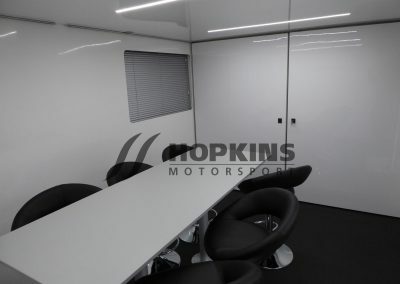 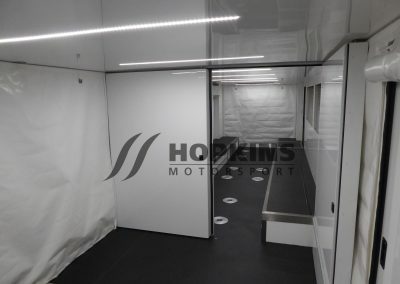 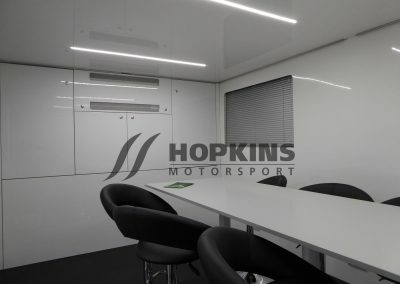 The front section of the lower deck will convert to an office at the circuit if required, as standards it is fitted with a fridge, wardrobe, air conditioning and tv. 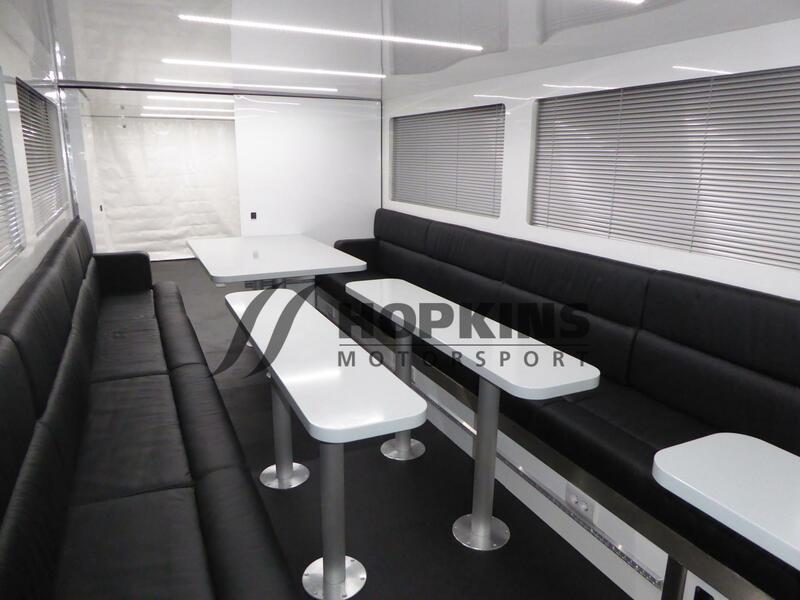 Removable table and seating can also be supplied. 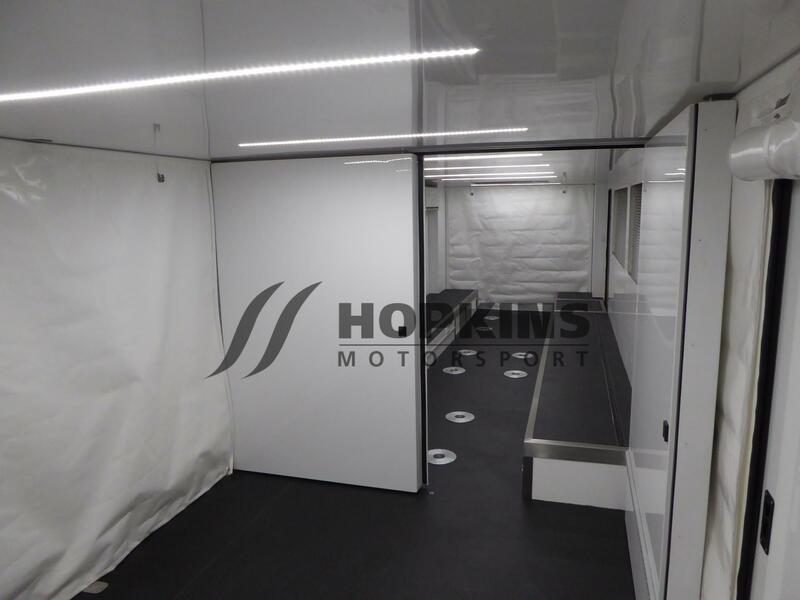 The rear section can be used as bulk storage or to carry a car during transit, at the circuit it will convert to an engineer/ drivers room.